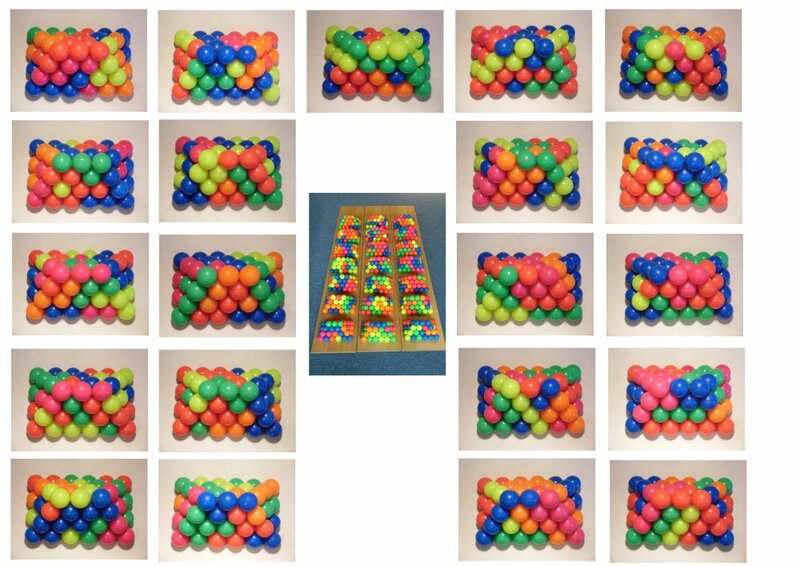 Five touching spheres in the face-centered cubic grid are called pentaspheres. 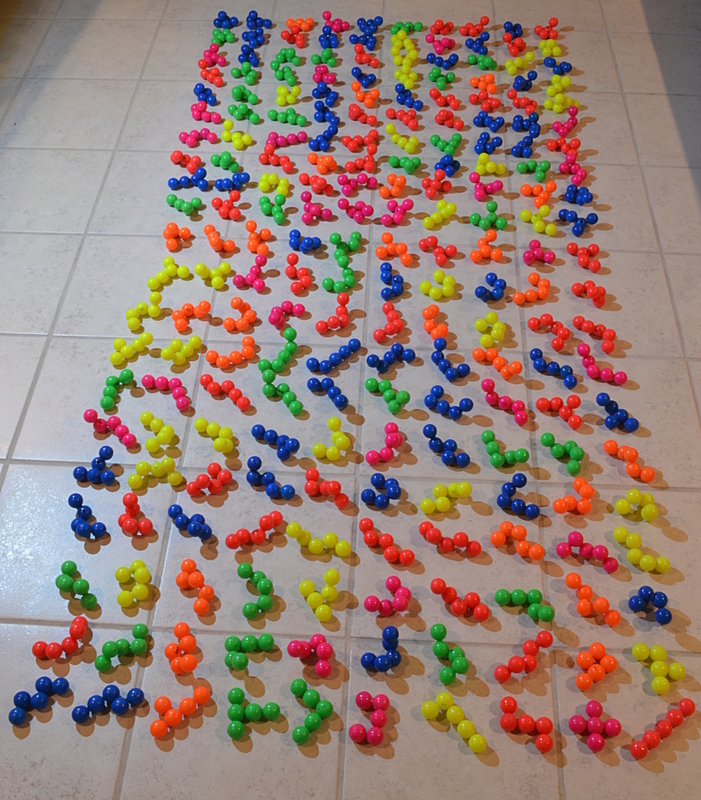 There are 210 different pieces, which I made up of colored rubber balls. At the bottom of the picture you can see the twelve pentomino like pieces, whereas the pentahexes are scattered. I constructed 21 roofs of same size with 10 pentaspheres each. To display the roofs I put them on a special shelf. 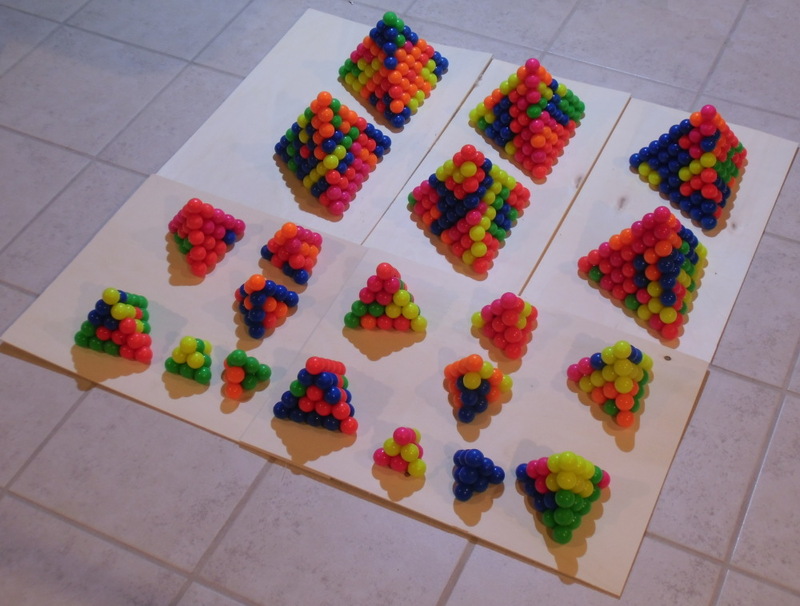 Lots of tetrahedrons can also be constructed. Using all pieces I built six tetrahedrons, two of size 13 and four of size 5. 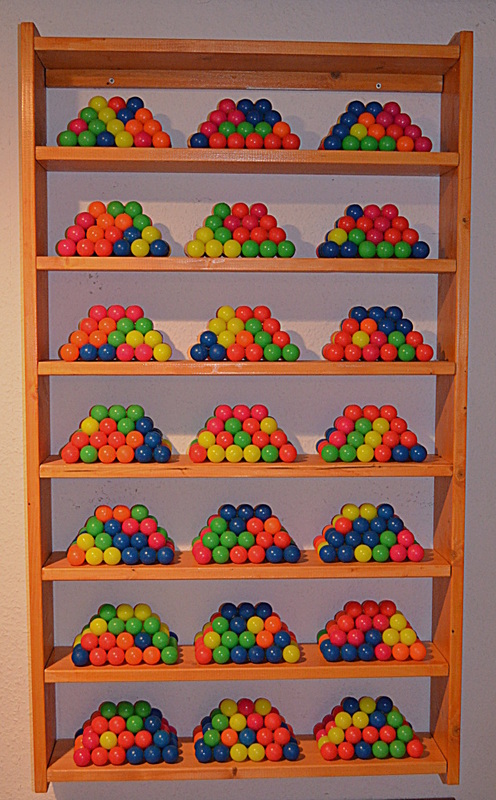 It's even possible to get 20 tetrahedrons: 4xT3 + 4xT4 + 6xT5 + 6xT8. 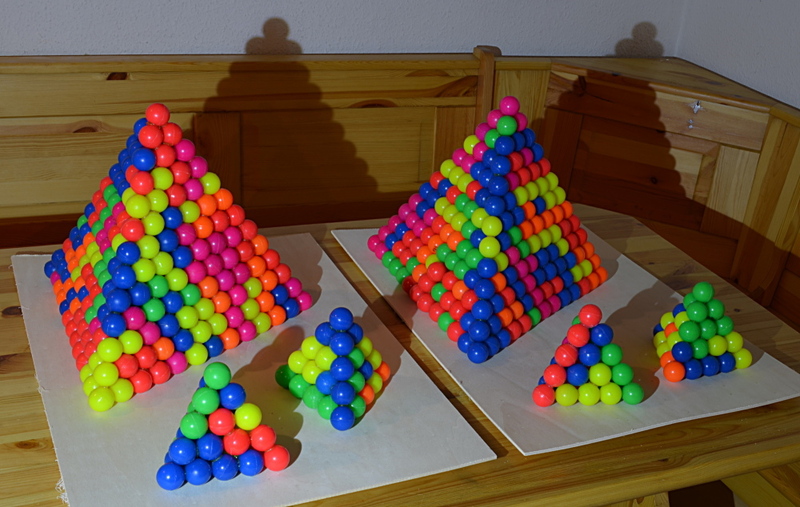 Some other constructions with pictures of the layers are shown at the polyspheres part of my site.